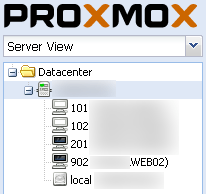 Login using SSH to Proxmox Machine or using Shell menu in Web Interface. Rename image directory name and image filename. 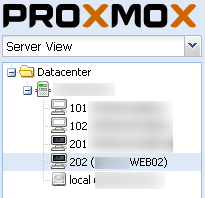 This entry was posted on Tuesday, March 26th, 2013 at 21:04 and is filed under Proxmox. You can follow any responses to this entry through the RSS 2.0 feed. You can leave a response, or trackback from your own site. [RUS]Здравствуйте. Большое спасибо. Коротко, ясно и всё по делу. Проверил – работает.